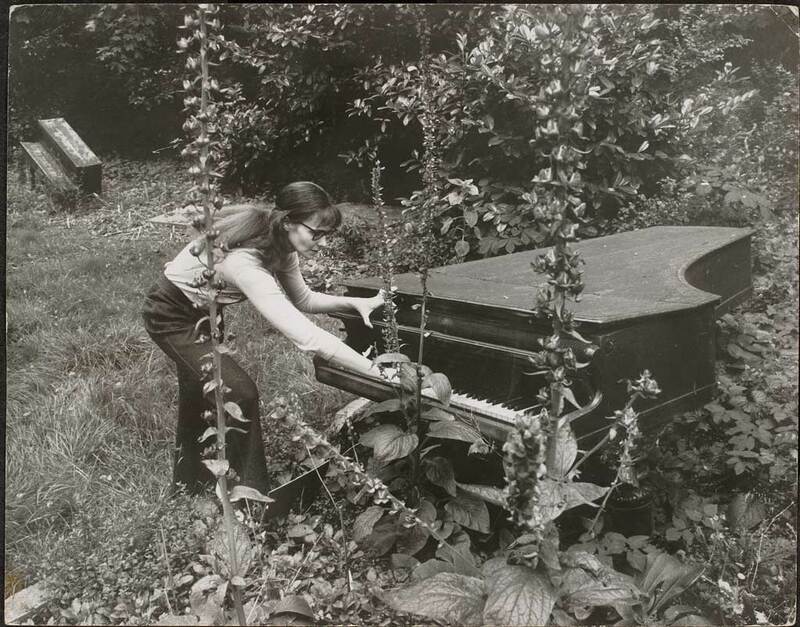 Soundlands’ second season launches with Annea Lockwood’s live Piano Burning performance as part of a re-creation of all three of her 60s / 70s Piano Transplant series. 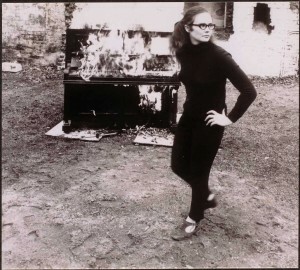 A rare opportunity to see Annea Lockwood perform her seminal 1968 work Piano Burning – at once sound art, performance, music and spectacle. Part of the Soundlands ongoing festival of sound art, Piano Burning is hosted by The Old Goods Yard Artists’ Collective who will also follow the performance with their own artistic responses. 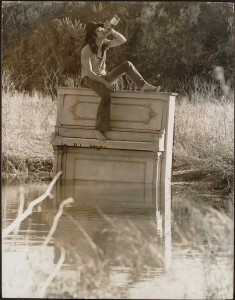 As prescribed in Annea Lockwood’s 1969 score, the piano is beyond repair. Piano Burning performed by Annea Lockwood (NZ/USA) with guests Xenia Pestova (NZ/CAN/CY), Ed Wright (ENG/CY) and Sarah Westwood (ENG ). Soundlands is linking up three venues to screen live footage of all three of her Piano Transplant works for one evening only. 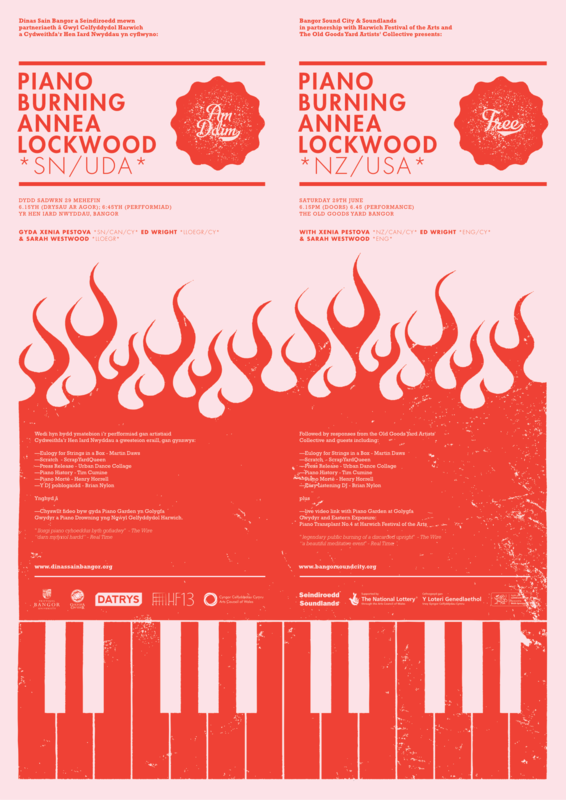 Annea Lockwood is a New Zealand born composer now settled in the USA. During the 1960s she collaborated with sound poets, choreographers and visual artists, and also created a number of works such as the Glass Concerts which initiated her lifelong fascination with timbre and new sound sources. 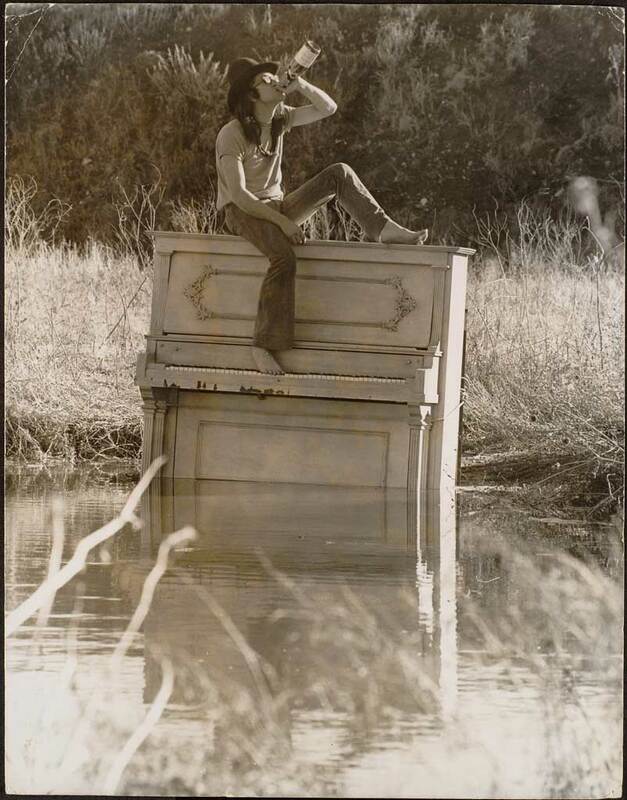 In 1968, and in synchronous homage to Christian Barnard’s pioneering heart transplants, Lockwood began a series of Piano Transplants in which defunct pianos were burned, drowned, beached, and planted in an English garden. Many of her compositions include recordings of natural ‘found sounds’ and can be heard on labels such as Lovely, Harmonia Mundi and Ambitus. Refreshments available and informal opportunity to meet the artists while Brian Nylon spins piano orientated lounge discs. No parking available on site. Park in Menai Bridge (five mins walk). Presented by Soundlands for Bangor Sound City in partnership with Harwich Festival of the Arts and The Old Goods Yard Artists’ Collective. Thank you to: Dan Rosen; Rachel, Keith, Femke and all at The Old Goods Yard Collective; Roger Hughes; Andy, Xenia & Ed at Bangor University School of Music; Real Institute. 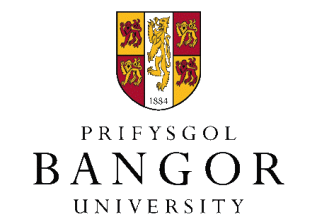 Bangor Sound City is funded by Arts Council of Wales.